BelarusDigest > Politics > Decommunisation or erasing historical memory: Will Poland rename a street given to a Belarusian national hero? Branislaŭ Taraškievič, one of the “fathers of Belarusian nation”. Poland has entered a new stage of its decommunisation policy, which among other things aims to rename streets and avenues all over the country. Within the framework of this policy, some Polish historians have proposed renaming Branislaŭ Taraškievič Street in the town of Bielsk Podlaski. This may turn out to be an international scandal between Poland and Belarus, just like the one earlier this year around Tadeusz Kosciuszko, an influential Belarus-born military engineer during the 1776 American War of Independence and a rebel leader against Tsarist imperialism. Branislaŭ Taraškievič is an undisputed hero in Belarusian history, especially for Belarusian minority in Poland. Branislaŭ Taraškievič (Bronisław Taraszkiewicz) is considered to be one of the “fathers of the Belarusian nation”. Born in 1892 in a small village 30 km from Vilnia (now Vilnius) he graduated from the Vilna Gymnasium, and then from the History and Philology Faculty at St. Petersburg University. In 1918, he wrote and published the first “Belarusian grammar for schools” in Vilnia. For a long time, this was the main textbook on the Belarusian language. His work withstood six reprints, and it was used even after the 1933 reform of Belarusian spelling—now this type of spelling is called “taraškievica”. In the interwar period, Branislaŭ Taraškievič headed the Belarusian grammar school in Vilnia (which was a part of the Polish Republic at that time) and was elected a deputy to the Polish Sejm. In the first years of his work in the Polish parliament, he advocated a union for the Polish and Belarusian peoples. He hoped that the Belarusians would be able to gain autonomy in Poland. The sign of Branislaŭ Taraškievič Street in Bielsk Podlaski. After a couple of years, he became disillusioned with the idea of a Polish-Belarusian union. He made ties with Belarusian Communists and joined the ranks of the Communist Party of Western Belarus. This constitutes the reason for his persecution by the Polish authorities. At that time, the Belarusian Soviet Socialist Republic (part of the USSR) was conducting a “Belarusisation” policy aimed at promoting Belarusian national culture and traditions. This attracted many Belarusians in Poland and became a reason for the popularity of communist views among them. The Polish authorities arrested Branislaŭ Taraškievič in 1927 and then for a second time in 1931. 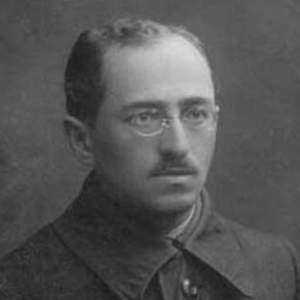 In 1933 Poland exchanged him for Belarusian playwright Francišak Alachnovič within the framework of an exchange of political prisoners between Poland and the USSR. In the USSR, Taraškievič worked as head of the department of the Baltic States and Poland at the International Agricultural Institute in Moscow. In 1937, the Bolsheviks arrested him in Stalin’s Great Purge. He was executed in 1938. The Soviet “court” accused him of counter-revolutionary activities and nationalism. On 2 November 2017, the Polish media announced that Branislaŭ Taraškievič Street in Bielsk Podlaski comes within the purview of the decommunisation law and the city council should rename it. Curiously, the original list of places to be decommunised, published by the Polish Institute of National Remembrance (PINR), did not include Taraškievič. His name only appeared on the list later at the insistence of the PINR Warsaw branch and some government officials. However, the PINR has yet to give any reason for Taraškievič’s inclusion on the “decommunisation list”. According to unofficial sources, Governor of Podlaskie province in north-east Poland Bohdan Paszkowski played a big role in putting Taraškievič up for decommunisation. Paszkowski is a member of the ruling conservative Law and Justice Party, which takes a strong anti-communist position. For example, at present, they are discussing the demolition of the massive Palace of Science and Culture in the centre of Warsaw. The Palace is both the most well-known landmark in the city and the tallest building in Poland. The Law and Justice Party says the Palace represents the communist past, being a post-war “present” from the USSR to Warsaw. Mayor Jarosław Borowski of Bielsk Podlaski. 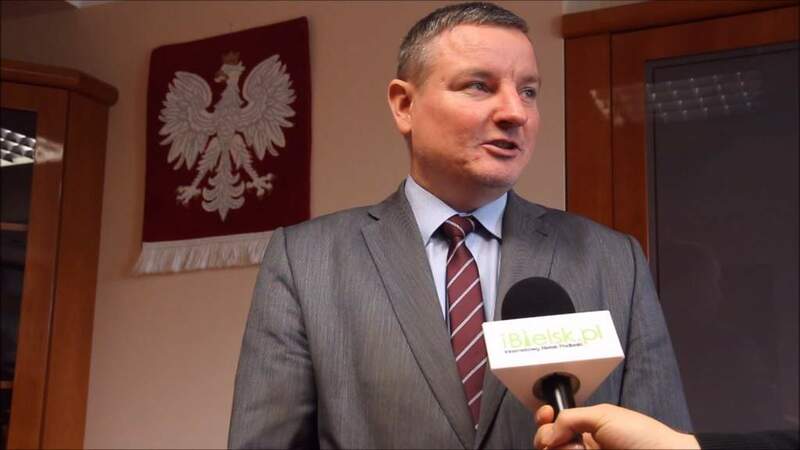 At the same time, the Mayor of Bielsk Podlaski (the town where Branislaŭ Taraškievič Street is located), Jarosław Borowski, is himself part of Poland’s Belarusian ethnic minority. He states the local population appreciates Branislaŭ Taraškievič as a Belarusian educator and politician, and do not see him as a person propagating communism. Indeed, located near the street in question, the Lyceum No. 2, a school that teaches Belarusian language in the town, is named after Branislaŭ Taraškievič. So far, there has been little to no discussion surrounding the need to rename the street. But one can expect this issue will possibly arise in the near future. It should also be noted that the PINR branch for Podlaskie province believes Taraškievič is not a person subject to the decommunisation policy. There is still a chance the street in Bielsk Podlaski will keep its name if historians at the highest level of PINR come to the same conclusion. In the meantime, Belarusian society wants the Belarusian Foreign Affairs Ministry to help in resolving the situation. Branislaŭ Taraškievič also played a role in the history of Podlaskie province. The province happens to be the main settlement area for Poland’s Belarusian minority. Throughout history, these lands belonged to the Grand Duchy of Lithuania, the Reč Paspalitaja (or Rzecz Pospolita, the Commonwealth of the Polish Crown and the Lithuanian Grand Duchy), the Russian Empire, and then the Republic of Poland. The Belarusian population in Podlaskie province is almost 100 percent indigenous. Belarusians represent 50 percent of the population in the town of Bielsk Podlaski and more than 60 percent in a couple other regions within Podlaskie province. A map showing the percentage of Belarusians in the regions of Podlaskie province. Belarusian historian and scientist Arsień Lis states that Taraškievič cooperated with communists in Poland for tactical reasons. It could have helped to defend the rights of the Belarusian minority, which suffered forced assimilation attempts by the Polish state in the 20s and 30s. For example, in 1938 officially sanctioned Belarusian schools ceased to exist in Poland, when in 1919 there were more than 400 of them. Moreover, in the 20s and early 30s communism had not compromised its image by mass murders and terror against populations in communist states, which further explains Taraškievič’s willingness to cooperate. More to the point, Branislaŭ Taraškievič had nothing to do with the communist Polish People’s Republic, which formed only after WWII and after repressions against Polish civil society began. The Soviets killed him even before the start of WWII. But Branislaŭ Taraškievič Street in Bielsk Podlaski received its name in 1987, while Poland was still under communist rule. After concern over the street renaming was covered in Belarusian and Polish media, as well as the negative reaction from Poland’s Belarusian minority, PINR issued an official statement. PINR Head Jarosław Szarek stated his readiness to organize a meeting of Polish and Belarusian historians dedicated to the issue of Branislaŭ Taraškievič’s legacy. “This discussion should be based on historical documents, and we are ready to listen to the opinion of Belarusians,” he said. Such an approach to the issue, as well as the decision of the Podlaskie province PINR branch, give hope that a compromise on Branislaŭ Taraškievič Street will finally be found. On 17 November 2017, German Foreign Minister Siegmar Gabriel has visited Minsk to take part in the Minsk Forum – an unofficial dialogue platform between Belarus, Germany and the EU, running since 1997. Gabriel also met with his Belarusian counterpart Uladzimir Makei and the president Lukashenka. The first official working visit of a German Foreign Minister since 1995 was possible due to the recent thaw in relations to the EU. Within the last two years, Belarusian authorities freed political prisoners and have been cultivating their peace-building role in the Russian-Ukrainian conflict, seeking pragmatic cooperation. Acknowledging these efforts, German government so far has been supporting the new rapprochement, despite lacking democratic reforms and respect for human rights in Belarus. 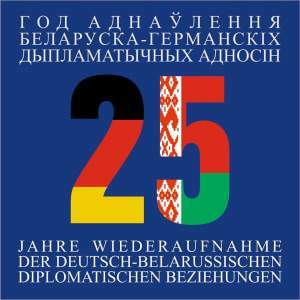 In 2017, Belarus and Germany celebrated the 25th anniversary of the re-establishment of diplomatic relations. The modern history of bilateral relations contains its highs and lows. Within the last decade alone, they went a full circle from one thaw in 2008 – 2010 to another one starting in 2015. Belarusian relations with the EU and Germany deteriorated quickly after the crackdown against the opposition and civil society following the presidential elections 2010. Political and economic dialogue resumed only five years later when the Belarusian authorities released the last remaining political prisoners. The official Minsk has also been diligently working on improving its international reputation by assuming a neutral position in the Russian-Ukrainian conflict. Signalling its goodwill, it positioned itself as a regional peacekeeper, facilitating negotiations which led to the Minsk Agreement 2015. In February 2016, the EU lifted sanctions against Belarus and its president and later even invited him to the Eastern Partnership summit in Brussels in 2017. Gabriel’s visit took place in the atmosphere of this cautious rapprochement. Starting from a small civil society initiative back in 1997, the Minsk Forum grew into a unique platform for dialogue between Belarus, Germany, and the EU. Currently, its main organiser is the German-Belarusian Society (dbg e.V. ), acting in cooperation with several German and Belarusian NGOs and with the support of the German Foreign Office. After a 5-year long break, the Minsk Forum resumed in November 2016, signalling new rapprochement between Belarus and the EU. Leading official Belarusian newspaper Belarus Segodnia described this year’s 15th Minsk Forum as a “recognised indicator” of Belarusian-European relations. Taking place a week before the Eastern Partnership summit in Brussels, the Forum highlighted the major themes in the relationship to the EU. The Forum focused on German-Belarusian relations and cooperation within the Eastern Partnership. Central themes touched upon political and economic reforms in Belarus, regional cooperation issues, chances of the Belarusian membership at the WTO, visa facilitation process, and the possibilities of cooperation between state and non-state actors in Belarus. 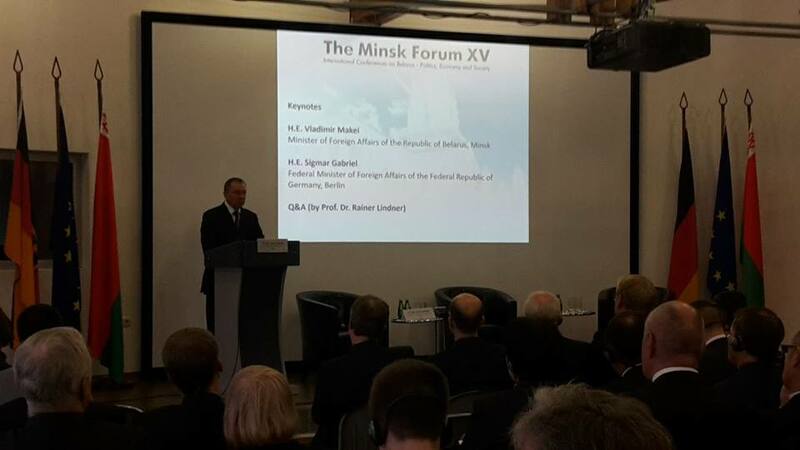 In 2017, both German and Belarusian Foreign Ministers appeared as keynote speakers at the Forum for the first time in its history. The chair of Minsk Forum Rainer Lindner highlighted this fact as a sign of progress in political dialogue and a “strong signal” for diplomatic, political and economic rapprochement. Noting Belarusian peacekeeping efforts in the region, Lindner also mentioned the release of political prisoners as well as the recent summit of the OSCE Parliamentary Assembly 2017 in Minsk and the Belarusian presidency of the Central European Initiative 2017 as signs of an opening towards Europe. Reporting on the Minsk Forum and Gabriel’s visit, Belarusian official media commented on “qualitatively new level” of bilateral relations, referring to the Minsk Forum as a “soft power” tool in policy-making. Belarusian support of peace-building and stability in the region was another recurring theme. 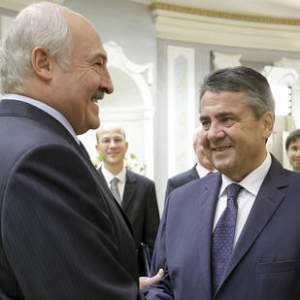 German media were more cautious in their evaluations of Gabriel’s visit to Belarus than their Belarusian colleagues. Noting the unchanged authoritarian character of Belarusian regime, Deutschlandfunk.de pointed out the omission of controversial issues during Gabriel’s meeting with Belarusian leadership. Deutsche Welle shared the reservations about the new rapprochement, noting a lack of trust towards Belarus. Democratic governance, human rights and the rule of law still remain problematic areas in Belarusian relations with Germany. Yet it is not likely that Belarusian authorities would revise their approaches to these specific areas, as it would endanger the regime’s stability. Rather, instead of liberalisation, Belarusian regime has recently introduced some “innovations” into its repressive mechanisms. The newest trend is the use of small-scale targeted repressions, to avoid media attention in the West. Aiming to test the EU patience for repressions, this approach also indicates the underlying unwillingness to reform governance. German media also note that Belarusian and German interests are overlapping. 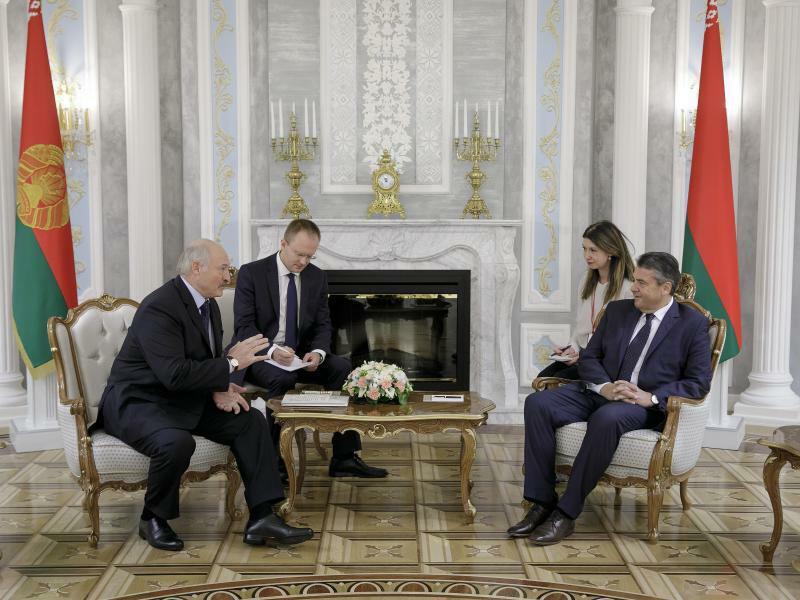 The EU approaches Belarus as it does not see any willingness for dialogue from Russia. It might have an economic leverage, as Belarus is actively seeking to expand economic cooperation opportunities and is looking for investment partners in the West as well as in the East. At a glance, it appears that both sides are on the same page, yet future progress remains unclear since Belarus ignores the need to respect human rights and refuses to abandon repressive methods against the opposition, journalists, and civil society. Simulated liberalisation allowed Belarus to get a foot in the door leading towards rapprochement with the EU, but this process is easy to stall, as long as Belarusian government modifies repressive mechanisms instead of abandoning them.